I'm not talking about being in a BB and getting zapped out of the water by them. 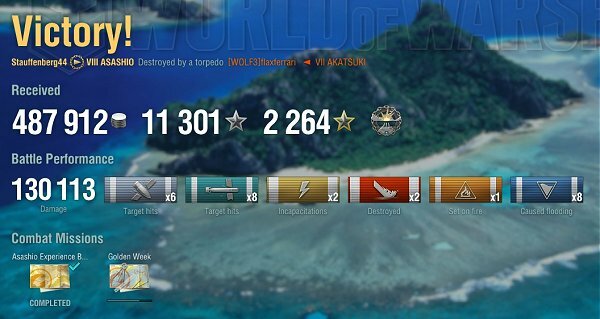 I am a BB main and from my recollection I think I've only ever taken one torp from an Asahio since it came out. What annoys me is the way most of the people in them are playing. From my understanding Asashio has sub 6km stealth with camo, module and CE which should make it an effective capper/spotter, but they generally are further from any cap circle than even BBs generally are. Or they immediately run to the edge of the map and try to get behind the enemy spawn like in the old days when a lot of IJN DDs went for CV snipes at the start of matches instead of playing the objectives I'm not a very good DD player myself although I do enjoy playing them from time to time, I almost NEVER get torp hits with long range launches....I know lots of players are better at launching from long range than I will ever be, but a 10+km range launch seems to me like it will always be a fairly low probability affair. And it seems that about 90% of Asashios are ONLY trying to do just that.....torp BB's from over the horizon ranges and missing almost almost every one of them, then reload and repeat. With maybe 2 or 3 exceptions, every Asashio I've had on a team has been a total liability. It's because of their stupid meme torps. People feel undergunned against the things that traditionally contest caps, so they avoid them. They have 5.4km concealment max, making it tied for best in tier and spread and game. But it also has crapguns, is IJN so it's slow and has [edited] agility too. In other words, it's a gimped T8 Shimakaze that can only hit one class and with less torps. I bought one, I main DDs and mostly IJN at that. It's underwhelming in the extreme and was vastly over hyped by CCs. Sure if it was dueling caps with battleships, but it's undergunned in every other possible way. A one trick pony, as it were with a high skill floor and captain skills just to make her playable. In Assahio games, I sail in a straight line just so long as it's not targeting me. You won't see them if they have better positioning, and surprise surprise deep water fish aren't fun to land. I'm not talking about being in a BB and getting zapped out of the water by them. I am a BB main and from my recollection I think I've only ever taken one torp from an Asahio since it came out. What annoys me is the way most of the people in them are playing. From my understanding Asashio has sub 6km stealth with camo, module and CE which should make it an effective capper, but they generally are further from any cap circle than even BBs generally are. Or they immediately run to the edge of the map and try to get behind the enemy spawn like in the old days when a lot of IJN DDs went for CV snipes at the start of matches instead of playing the objectives I'm not a very good DD player myself although I do enjoy playing them from time to time, I almost NEVER get torp hits with long range launches....I know lots of players are better at launching from long range than I will ever be, but a 10+km range launch seems to me like it will always be a fairly low probability affair. And it seems that about 90% of Asashios are ONLY trying to do just that.....torp BB's from over the horizon ranges and missing almost almost every one of them, then reload and repeat. With maybe 2 or 3 exceptions, every Asashio I've had on a team has been a total liability. It's pretty damn bad at contesting caps. Its torps are its only redeeming quality. That being said it can still spot for the team and pull enemies away from caps you intend to take, especially if they intentionally reveal themselves to draw fire. The hype works both ways; people who OVERestimate its capability can be just as much of a liability as they try to focus it down, if it's piloted by a competent player, especially when combined with long range torps intentionally thrown wide just to change BB maneuvering. Sure if it was dueling caps with battleships, but it's undergunned in every other possible way. I see your point there but I’m not saying it’s a good ship to FIGHT for a cap in. Most IJN DDs aren’t and it’s undoubtedly the worst of the lot in that regard. And again....I am not a DD main or a good DD player, but if I’m playing a Shima or Yugumo etc. I don’t just sit on the back line and fire long range torps. If I go into a cap and it’s contested by anything but another IJN DD I drop smoke and bug out. Or try to....lol....(did I mention that I’m not that good at DDs). Most Asashios I’m seeing don’t even TRY. Even late in matches when almost everything is dead they’re just hanging around at the fringes. yep. i have seen way more of these type of players than anything else with the ship. I wasn't a fan of the ship, with this being one of the main reasons why. It just encourages behavior that is not good for the game. its guns aren't bad either. they are as good as the kags, which are solid when kiting. People just don't seem to know how to properly use them. I hate seeing them on my team and love seeing them on Red, especially when I play DD. They are pretty much useless. Although the CCs said the ship should not be released in its current state. DWTs were a stupid idea, and gimmick ships that depend on (even more) gimped version of an already gimped torp type aren't going to be good boats. I feel sorry for the people who wasted their money. I always assiduously spot in the Asashio but this is not a ship to contest caps with, period. To expect that is just sour grapes. I'll try to get behind, sure, but as the battle evolves open flanks appear and you exploit them. Re-taking caps later on is an Asashio specialty if you are playing it right. One has to keep in mind that the mere appearance of this little weasel in a battle has all the BBs trumpeting nervously (and I play BBs a lot, far more than DDs), and they revise their modus operandi just as they do when they see CVs on the red team on the pre-battle screen. Fair dinkum. Well you’re obviously one of those guys I wouldn’t mind seeing in one then!! As long as you are green and not red. Lol. But I bet you didn’t hang back with the sniping BBs on your team or spend the entirety of either game 15km from any enemy ship either. Going by the responses of obviously better DD players than myself I gladly concede that it’s not a ship that should just rush headlong for a cap circle at the start, but I still don’t think it should be played as passively as most people seem to be using it either. 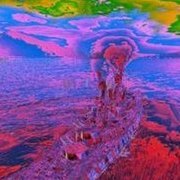 Like the German subs off the east coast during the early golden time. This will change as the BB dopes wise up. That said well done mate! It's sort of like a strike Lexington from the old days: if MM grants you another strike Lex, an incompetent carrier, or an afk one, you can farm damage to no end. In all other cases, you're pretty much shut down for the entire game. Asashio is a specialty boat and WOW has put their stamp of approval on it. We see all the game plays and see huge damages but really its a real hit and miss type of situation. You have to get into position to torp into enemy ship positions you think are the most probable. Doesn't always work that way. I get good damages on some games and practically none on others using torps. You have to resort to guns and on choice targets without getting sunk easily. I will tell you this though..as long as I keep track of friendly BB's and CV's I can torp all day long without TKing. so i should get something. LOL! Absolutely the worst ship in the game! Anyone who takes this into ranked battles should be hanged, drawn and quartered! They're terrible human beings and their fingers should be cut off so they should never be able to play a computer game again! They can't take a contested cap! They won't even try to take a contested cap! They can only kill battleships! They can't kill other destroyers! They can't gun down cruisers! Worst guns ever and you can't get citadels with them! Here's the proof! Just watch and see! From my understanding Asashio has sub 6km stealth with camo, module and CE which should make it an effective capper/spotter, but they generally are further from any cap circle than even BBs generally are. They are under-gunned against most of the destroyers they will face if they lose their stealth; they are severely under-gunned against most of the radar ships they might have to face, ships whose radar ranges can go up to 11.7 K if I remember correctly; and they don't have the speed to evade effectively if they are caught. You can't blame a player for not wanting to die in an overwhelming hail of gunfire. I love the way that people put up good individual games and then imagine that proves something. It's possible to have good games in any ship. I know people who have gottten 100K damage Krakens in the Krispy Krime. That doesn't change the fact that KK is trash. Asashio just isn't very good, and if you track its win rate, it is slowly falling over time, and is below where a new ship should be. I never worry about them when I am in a BB. Yugumos and Fletchers worry me much more -- they can torp me and kill my DDs. How many good games have to be posted before it becomes significant? Because, I mean, seriously. There's a lot of people who have a lot of good games. The only reason that I don't have at least 10-12 of those videos posted is because I just don't have the time to be recording replays constantly and doing all the video processing for them. 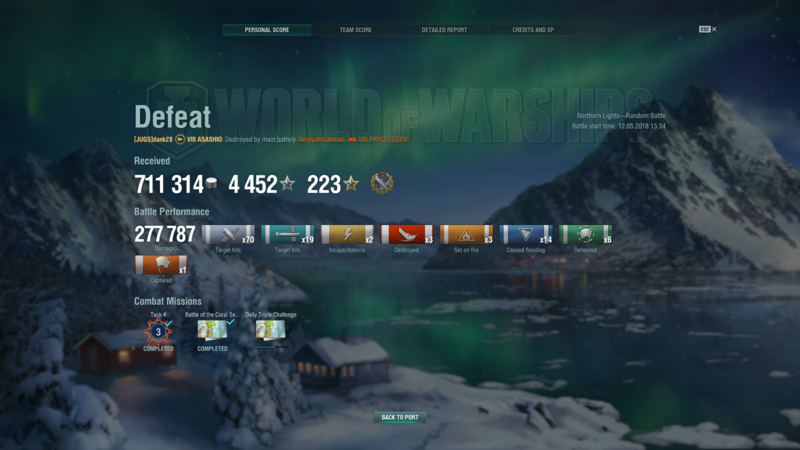 The Asashio and stupid gameplay go hand in hand. It's why it was such a dumb concept for a ship. And shockingly enough it hasn't fixed the camping BB meta either. Yep, most o the Asashois i see are spamming torps out of max range. Which greatly reduces their efficiency. Doing that they aren't a big threat to the enemy team, and they arent helping their own team with cap/spot. I fear more a Asashio on my team than on the enemy team. Irrelevant. The relevant issue is aggregate performance over all players. On that, Asashio is slowly proving to be less than stellar. Already it's below Hsienyang, and yet it is being played by experienced players who thought they could do well in it. Meanwhile, as a couple of people have pointed out, the camping BB meta hasn't changed. WG could easily fix that if it wanted to. Conclusion: WG wants BBs to camp, and sold the Asashio as a sucker bet to people who thought they'd be murdering BBs in spawn. the thing is she changes the whole matrix for BBs in a battle when she appears, just like CVs do. This is but another complexity slipped into the battle matrix and I applaud it as it enriches the game. Long live Asashio the Assassin! Asashio is pretty solid, if used correctly. Currently running about a 66 percent win rate in it, with an average damage of around 96,000. Some games were much higher, others were much lower, but overall, it does what it's intended to do. The key is being able to shift gears to make the most of her despite her weaknesses. For example, you're hard-pressed to engage enemy gunboats. But you're ideal for keeping them lit-up, so that your cruisers and battleships can menace them. Don't sit in smoke unless you're trying to evade aircraft. If you're spotted, turn away, smoke to cover yourself, and then turn back to the side to try and spot the enemy from a safe distance. You have a concealment of 5.4 Km. Almost all of your torpedo drops should be from 5.5 Km. Take Torpedo Acceleration, to bump your torp speed up to 72 knots, with 16Km of range. Basically, you want to take up a position just in front of your main force until the enemy gunboats are wiped out, spotting them and calling them out for your team. 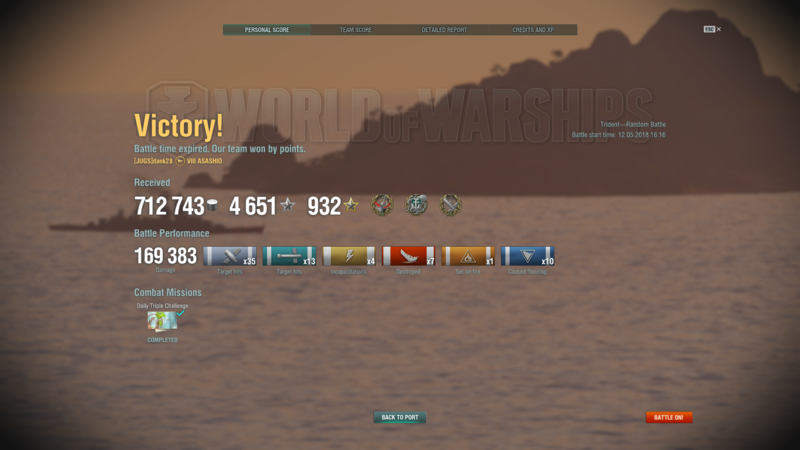 Once you have a way through the enemy battle line, it's a rather simple matter to avoid cruisers, torp battleships, and take caps. The newness will die off before too long, and the majority of Scrubs will move on to the next thing. Those that know what they're doing will become more common when you see one. It is still a "NEW" Boat "Sarcasm" . In three Months the true Ship will emerge,and the Posts about it will be totally opposite of this one. After the Captains learn the Ins and Outs,the How's and Why's of its Strengths and Weaknesses the Game Changes. Best to Learn them faster than those Captains if you want to have a better defence.